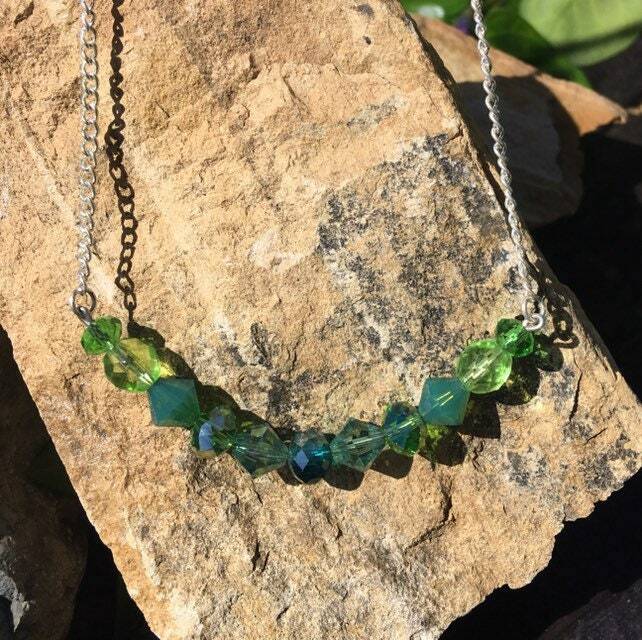 This beautiful Swarovski bar necklace is a beautiful ombre of light to dark greens. An elegant, stylish piece for when you want a little something special to wear for the day/night. 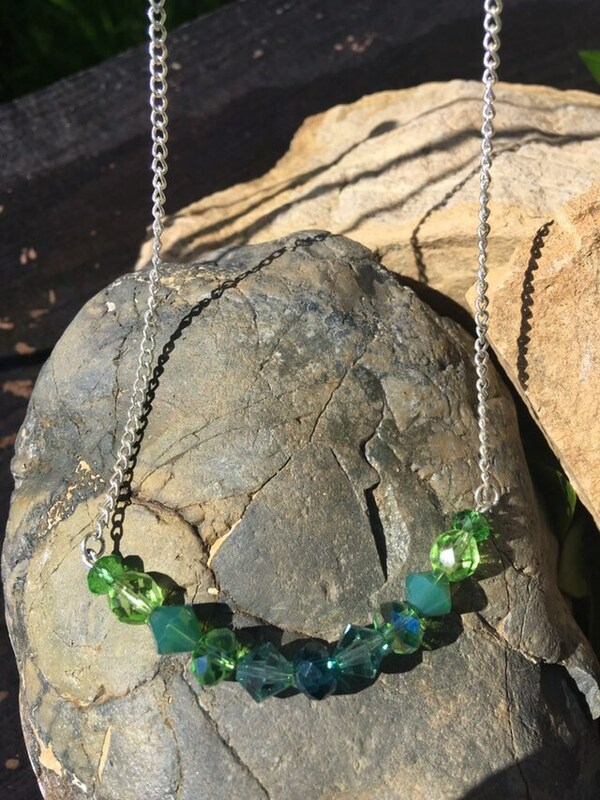 The necklace is 18" long, silver tone chain. It will come wrapped in tissue paper/bubble wrap and and mailed in a bubble mailer.